"An epitome of comfort and luxury, Niraamaya- Surya Samudra is one of the most beautiful resorts of India. Fringed by a beautiful and secluded beach, the resort is recognized as one of the Best Ayurveda Resorts in the country. The entire resort is designed to ensure a luxurious and comfortable stay of the guests. This seaside getaway is perfect for a long holiday set in the soothing and tranquil ambiance. Back in the year 1982, in the coastal village of Pulinkudi near Vizhinjam, 10 km from Trivandrum, Klaus Schleusener, a professor at the Indian Institute of Technology, Madras, transformed a barren hill into a lovely place featuring Keralite architecture. 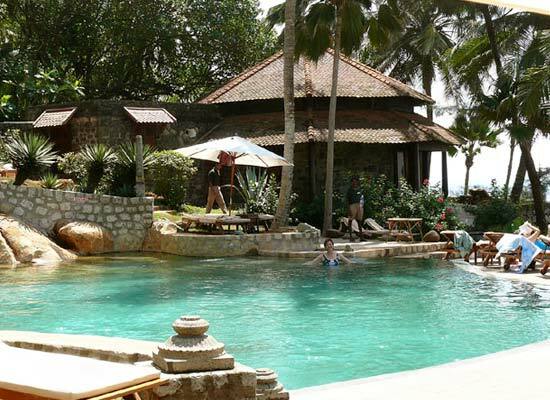 In the year 1986, the place was converted into a hotel called Surya Samudra. At that time, the hotel had just one room. Between the years 1988 and 1991, a number of changes were made in the hotel. The old wooden house was transformed into Surya Samudra, a hotel with two spacious rooms, an open ceiling and an open-air bath which opens to the sky. Very soon, the hotel witnessed an expansion. The sea was the main highlight of the hotel. Mr. Karl Damschen, an architect from Germany came to Kerala and planned to set up a restaurant in the building so that the guests could savor authentic Kerala food. Surya Samudra reached new heights and received the status of Heritage Hotel from the Department of Tourism in 1995. Later, in the year 1996, the Government of India honored the hotel with the Tourism Award for The Best Heritage Hotel in Southern Region. With time, suites were added to offer an unforgettable experience to the guests. The Niraamaya Spa was something revolutionary. It made the guests experience rejuvenation from yoga, massages, Ayurveda and meditation. Today, Niraamaya Retreat is a place where you can find the much-needed tranquility and rejuvenation in the midst of nature. Surya Samudra by Niraamaya is a little piece of paradise surrounded by lush greenery and the beautiful Arabian Sea. 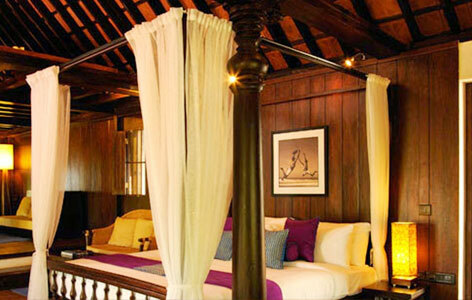 The resort houses 31 heritage cottages all done up in traditional Keralite style. A blend of antiquity and modernity forms the star highlight of these cottages. Immense luxury is offered with a hint of Kerala’s traditional roots. The entire place features a pleasant ambiance that adds to the stay experience at Niraamaya. Long showers become perfect at open air bathrooms. Beautiful verandah waits to offer you a stunning view of the surroundings. Niraamaya - Surya Samudra offers a dining option to match the requirements of all the guests. Café Samsara: This all-day dining restaurant is set in a tile-roofed verandah. 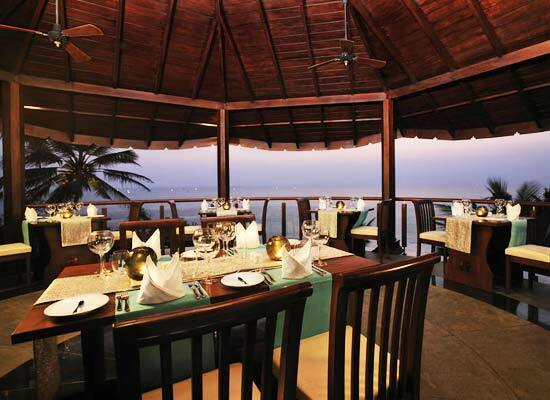 Guests can enjoy a beautiful ocean view along with lip smacking dishes from international cuisines. It is a perfect place to enjoy delicious food in a pleasant and soothing ambiance. Essence: Niraamaya’s specialty restaurant is set on a beautiful cliff. Subtle herbs and hot spices of the Far East come together to offer something exceptional. The spectacular view of the vicinity adds to the flavors at Essence. Madira: Offering panoramic views of the ocean is Madira, the bar. It is the place where you can enjoy your favorite cocktails with a great view. The bar promises you a complete celebration, away from the troubles of the world. Kovalam is a beautiful beach town, which is known for its three adjacent crescent-shaped beaches- Lighthouse beach, Hawa beach and Samudra beach. The place offers peaceful surroundings amid lush ambiance. 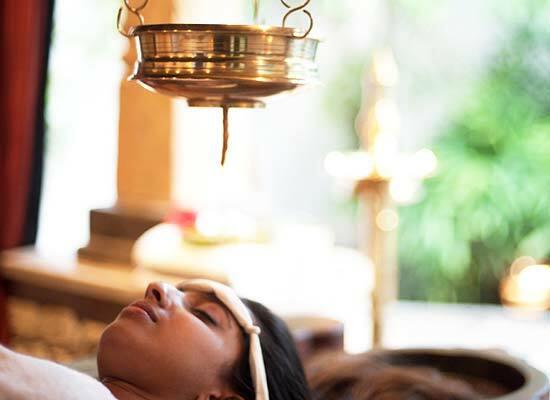 Rejuvenating Ayurveda massage is a must when here.